After the powerful presentation by entrepreneur Cathy Horton at the 2nd annual ClevelandWomen.Com Future Leaders event, the girls needed a short break. 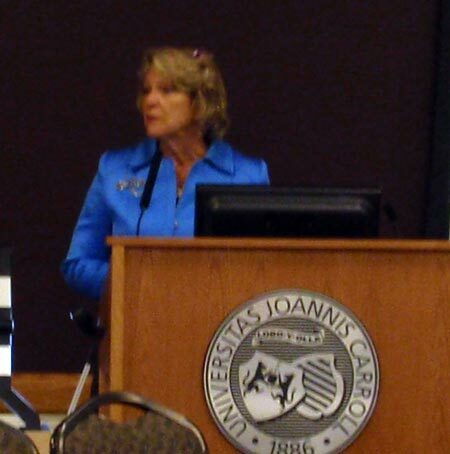 This was followed by another outstanding presentation - this time by former Cleveland Mayor Jane Campbell. 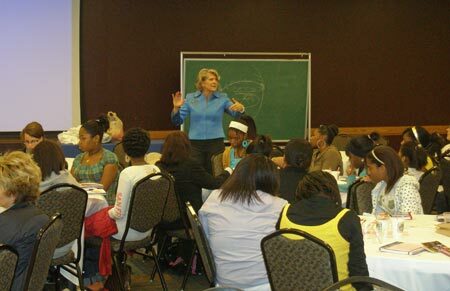 Mayor Campbell spoke about opportunities in public service for the girls. She shared her own story and how she rose to become the first woman mayor of the City of Cleveland. 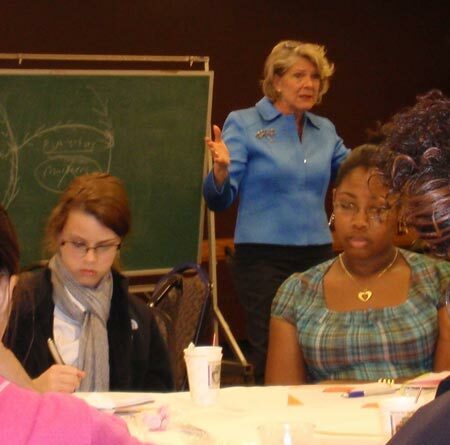 In the short video above, Former Cleveland Mayor Jane Campbell told the ClevelandWomen.Com Future Leaders Class of 2008 how to get involved in politics and the role that money plays in politics. Mayor Campbell came into the crowd and answered the many questions posed by the girls. Some of the questions were personal but Mayor Campbell answered them all. Watch (video below) as Jane Campbell was asked about handling political pressure and whether she would run for political office again. After the presentation, many of the girls wanted their picture taken with the former Mayor who kindly obliged. See what happened next (Part 4) at the ClevelandWomen.com Future Leaders Class of 2008 event.